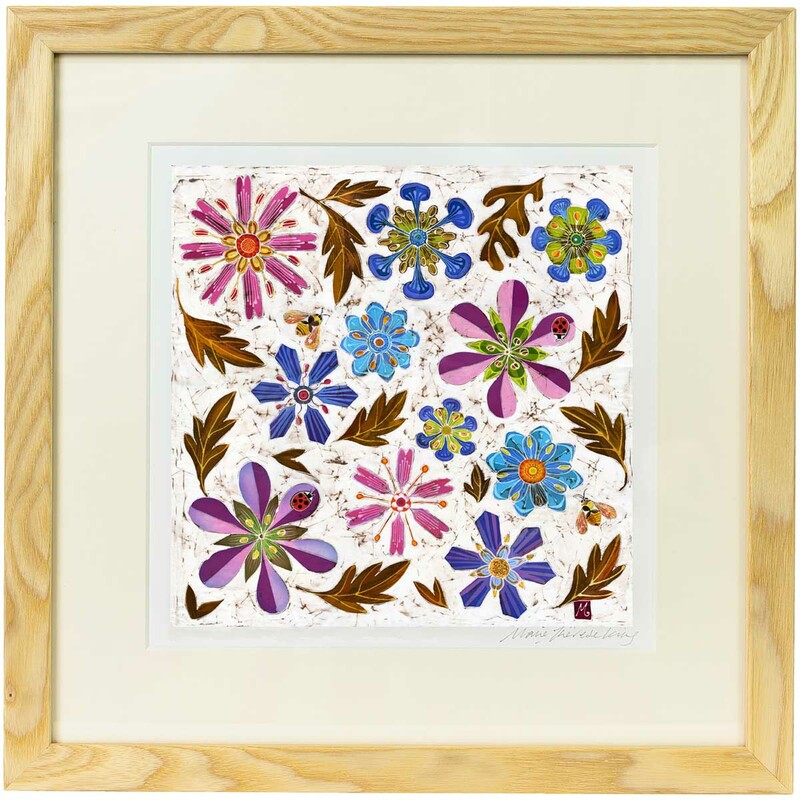 This design partners beautifully with Bees in the Jewel Garden, another stylised textile design, for a more contemporary interior. 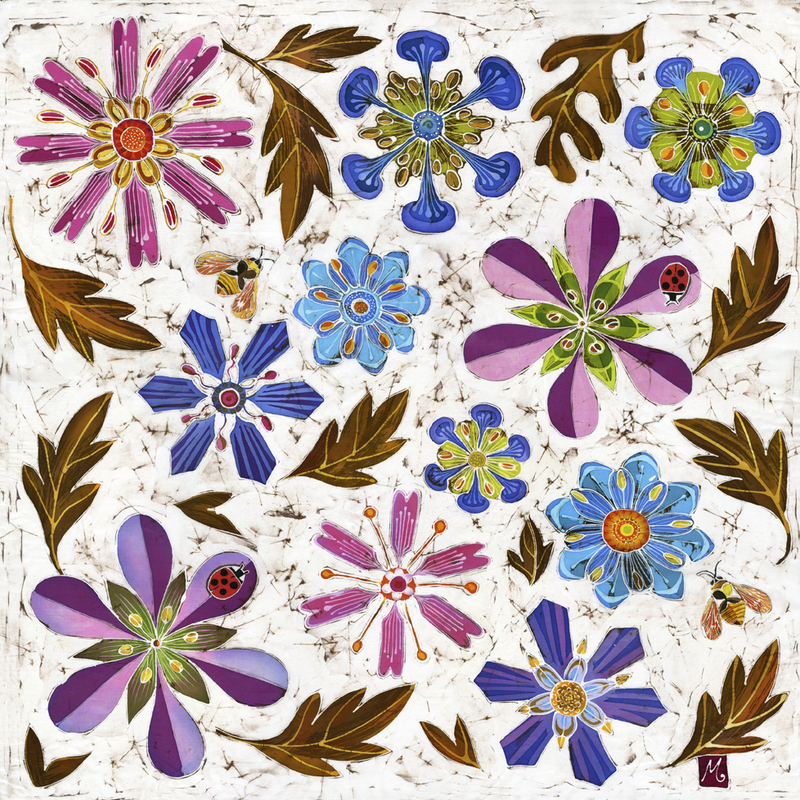 There are pink, purple and blue flowers, brown leaves, a green cricket and two red and black ladybirds on a white and brown crackled background. 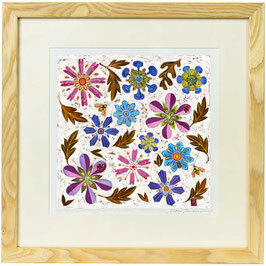 The design was inspired by the American artist Charlie Harper, this design copies his geometric style.